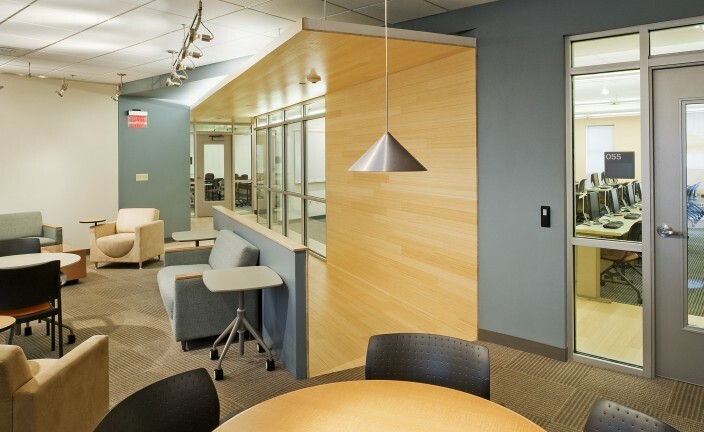 The Envision Lab is the University of Rhode Island’s main teaching laboratory for undergraduate computer courses. 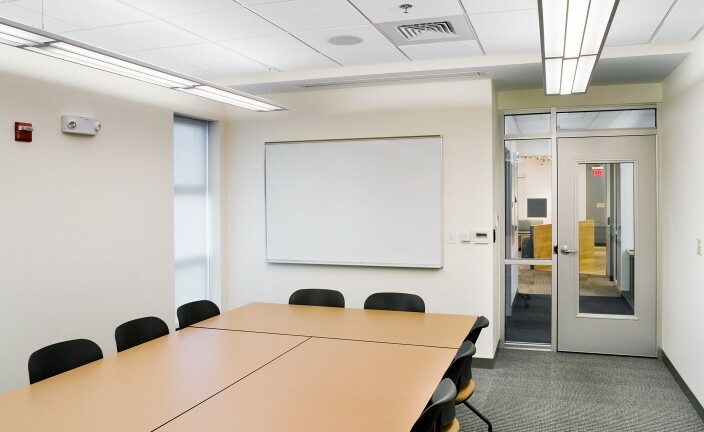 The main space holds thirty workstations plus additional seating for students with laptops. 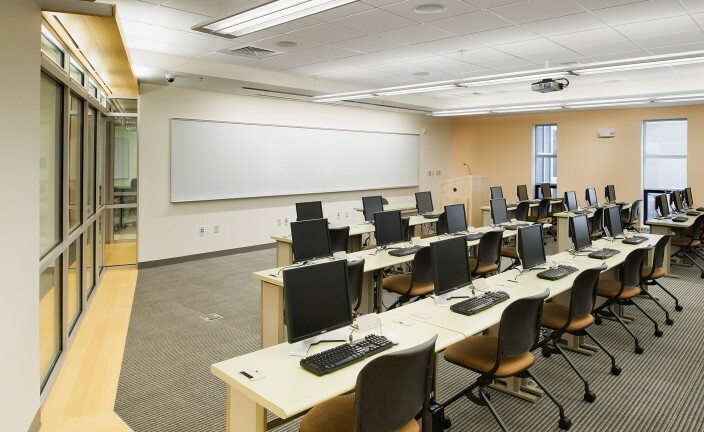 The scope of work also included two mid-size computer labs with state-of-the-art graphics and video workstations, and a conference room equipped with audio-visual networks. 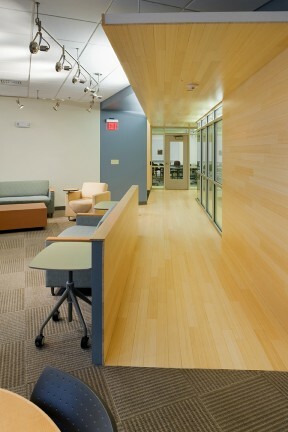 The focus of the design was in the lounge area where a bamboo-wrapped feature creates a dynamic intersection and connection with the entry and the computer labs. 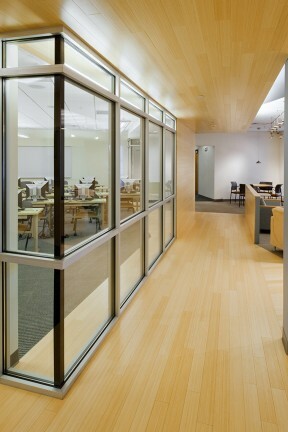 The transparency in between the bamboo allows natural light deep into the main teaching lab and visually connects the various spaces in the complex.